This January D&D London have launched Waste Not, Want More, a group-wide initiative to encourage a cleaner, stronger and healthier world for us to live in. Working in collaboration with The Felix Project, the campaign aims to increase awareness on sustainability through a number of activations including London’s largest food waste artwork made from surplus food, doggie bags, waste set menus and a series of wellness classes, talks and workshops by well-known voices/renowned names. 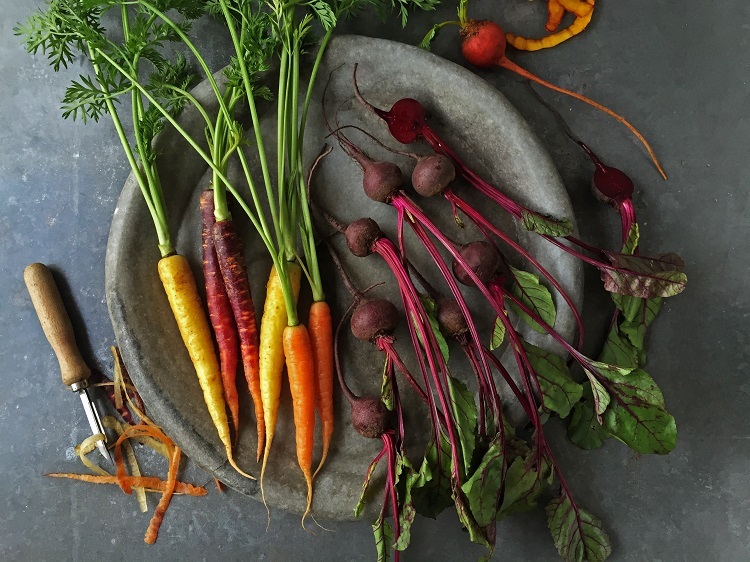 Supporting a move to reducing group excess, D&D will reinforce its ethos of serving locally-sourced and sustainable meat and fish, as well as vegan and vegetarian menus. The Felix Project collects surplus food from suppliers and delivers it free of charge to charities and schools that provide food to people in need. 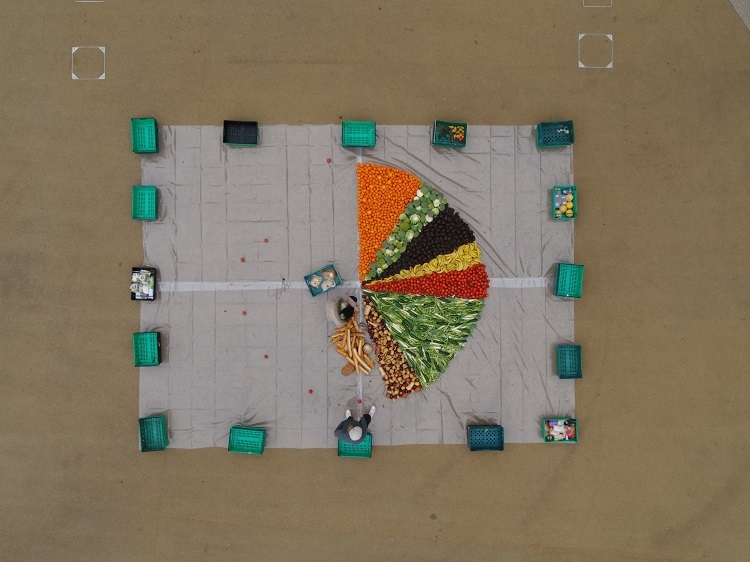 On Wednesday 16th January, stylist, Camilla Wordie created a unique, large-scale artwork using surplus fruit, vegetables and pizza boxes outside Bluebird Cafe White City. The piece was sponsored by Seedlip and used donations from The Felix Project as well as leftovers from Bluebird Cafe and Television Center neighbours, Homeslice. The Felix Project collected all the produce after and distribute it. Camilla has recently worked with Yauatcha on Berwick Street to create their window display and was the stylist on Telegraph Luxury gift guide 2018 shoot. 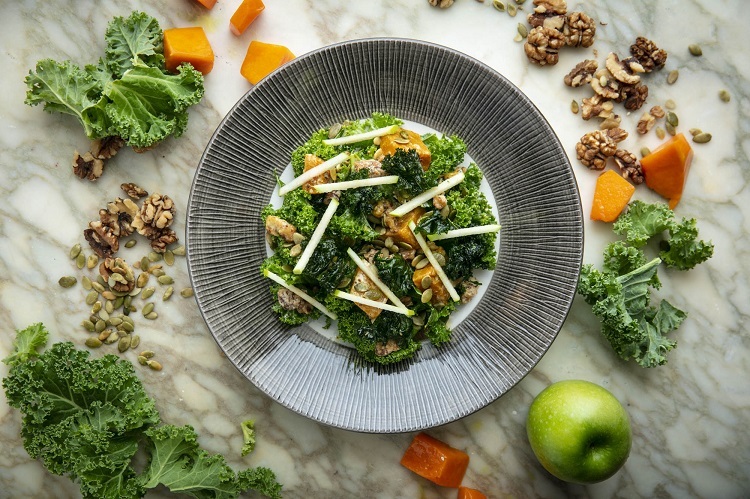 Each D&D London restaurant will be introducing an upcycled dish to their menu made from scrap ingredients as part of D&D’s London’s Evening Standard campaign. Sartoria on Savile Row will be serving a cauliflower steak with cauliflower puree and couscous as their dish, Avenue in St James pan fried cod fillet and sea vegetable casserole and Bluebird Cafe a bread and butter pudding with raisins and brown sugar ice cream. Bento style boxes made from cardboard and fully recyclable will be on offer at all D&D venues to allow guests to take home any food that they can’t finish at the time to save on food scraps. Bento boxes will become 2019 must have accessory, minimising excess and saving on cooking the following day. A curated calendar of intimate events from supper clubs to workshops, tastings and fitness classes will be on offer for Londoners to get involved with. Focusing on the Want More aspect of the campaign, the series will promote wellness for the body and soul, creating spaces for fitness and mental wellbeing. Secured partnerships so far include Alternatively Healthy & The Gut Stuff, a natural health, healing and wellness magazine, Tbalance Chakra Dinner at Quaglino’s, Author Laura Thomas and her book ‘Just Eat it’, Seedlip cocktail pairing and Happy Not Perfect by Poppy Jamie. The events will be ticketed and take place in a number of D&D restaurants across the city including Cantina’s Sustainable Supper Club with producer co-host Bottarga Borealis on Wednesday 30th January and New Street Wine’s sustainable sommelier tasting series throughout January and February kicking off on Wednesday 30th January.